Building wealth does not happen overnight. It takes a lifetime of key decisions and often in the face of complexity and many unknowns. I’ve always viewed life as a game. As you age or progress in level, you need to use a combination of skills you learned from earlier to overcome new unique challenges. In other words, it becomes significantly more challenging. Building wealth is no different. It takes a long-term focus, strategic maneuvers, and constant improvements to ensure you are able to not only build wealth but build a life that you enjoy, as well! I have identified for you, some of the key information to understand how to build wealth. How great is it to be able to create your own adventure? Right out of the gate and early in your career, you are your biggest asset. It’s important to know how investing in yourself can pay future dividends. Failing to acknowledge this can turn you into a liability rather than an asset. If you are reading this, you probably were not born into money and as a result, you have to trade your time for money in order to start the process of building wealth. How do you move from minimum wage up to a salary that will be a better fit to help you reach your goals and dreams? You have to leverage your skills, passion, experience, and education. Besides possibly passion, the rest of those abilities occur over time and with the personal sacrifice of time and investment. Personal sacrifice sounds hard and time is precious, but it takes discipline to be willing to invest in yourself to a degree that will allow you to increase how much someone is willing to pay you for your time. Discipline also comes into play when it comes to your spending habits. Living within your means doesn’t mean living paycheck to paycheck. Heck if that was the case, most American are awesome with being disciplined with their spending habits. Unfortunately, living within your means actually means you are able to save for emergencies and save for future goals, in addition to meeting your monthly obligations. Individuals and families with spending problems cannot out-earn this bad habit, they have to make major life changes that are behavioral and emotional. Remember that living within your means actually means being able to save for long-term goals, as well as, meeting monthly obligations. Savings for long-term goals can potentially become easier by investing in additional assets outside of yourself, which could empower your investments to work for you in helping you attain your goals. Investment in the financial markets is extremely accessible when compared to 10-20 years ago, which is why I listed this investment type first. 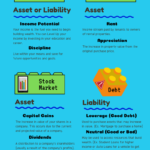 It’s impossible for me to cover all the complexities of financial market investments, but I will cover an overview of how these assets may work for you. To find out more I encourage you to speak with a professional for guidance, as risk is associated with these types of assets. Just for reference, here is the historical return for a common stock and bond index. Over the last 90 years, the S&P 500 has averaged an annual return between 9-10%, the bond market had an average return between 5-6%. Return history is not indicative of future performance. Dividends can be paid by companies to their investors (stockholder) or borrowers to their lenders (bondholder). Most investors choose to keep their dividends within their investment account for reinvestment, but some request the dividends be distributed to their bank account. I’ll address why most investors choose to reinvest a little later. Property ownership is another popular investment type. The cost of entry is significantly higher and there potentially is a learning curve depending on how you decide to enter this investment type. You may be able to outsource the day to day management, but that would reduce your overall return potential. 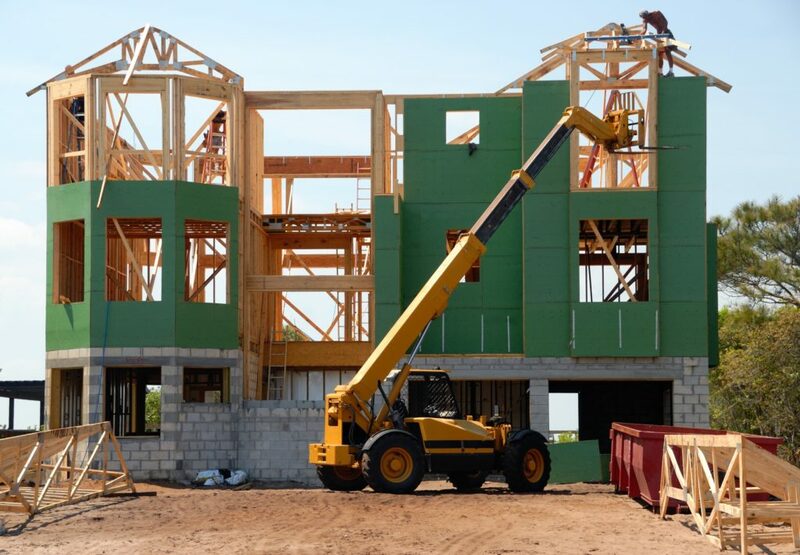 Additionally, real estate investments are very illiquid, which means it could take you a significant amount of time to be able to sell the asset and obtain funds from the sale. Most investors choose to invest in real estate to generate rent or cash flow. Rental properties kick out an additional income stream that can supplement your other income sources. Similar to financial market investments, there are many factors that may increase or decrease the value of your investment. Appreciation isn’t typically the main objective of rental properties because of how illiquid they are, but growth in value may be able to be leveraged to gain access to additional properties. In my opinion, debt is over villainized. Going back to the importance of personal discipline, I feel that debt is a powerful tool. If you are disciplined and understand how the various debt offerings work, they can be leveraged to enhance your ability to grow your wealth. If you are not, then some may feel that they are in a sinkhole and see the possibility of building wealth as an island drifting further away. Mortgage- How long would it take you to save $400,000 to purchase the average home in Fort Collins, CO? Probably a little bit of time, and there is no guarantee the average price would stay at $400,000 by the time you were able to reach that goal. That is where mortgages come in. Using a mortgage to purchase your first home can be a very strong investment, it secures your living space and you can begin to start building equity instead of paying rent and building someone else’s’ equity. There are pros and cons to deciding between renting vs. owning and I hope to hit on that in a future strategy guide. Auto loan– If you are just starting out, having an auto loan may be a necessity, but there is a big difference between a new BMW and a used Toyota Camry. Both should be able to get you around, but the cost and drag on your future opportunities are drastically different. Luckily, auto loans are a form of secured debt, which means they are backed up by an asset, which helps keep the interest rate reasonably low. Credit Card– Credit cards are great to have but horrible to owe money on. They are one of the easiest ways to establish and build credit, but they are unsecured lines of credit, which means you will likely have a double-digit interest rate that can be a traumatic burden to building wealth. Not only is the interest rate a beast to overcome when paying back your credit card balance, but oftentimes the items you purchased with the card are material items that are more extravagant than what your current earnings would normally allow you to purchase. Pay-Day Loans– These loans are predatory, as you often may pay as much as 400% annual interest rate. These are to be avoided at all cost and are a sure sign that you are not living within your means. It is extremely hard to think long-term. Some may consider long-term planning to be anything greater than a month, but in reality, having a long-term view is envisioning how your actions can have a significant impact on your future between 1-50 years out. I know it’s crazy to think, but every decision you make has the potential to have a compounding effect. Time is only on your side if you use it properly. As a reminder, this is for informational purposes only, as investments carry varying risk/reward potential, which I’m unable to cover in detail. I encourage you to reach out to a professional if you need additional guidance with investments. As you saw in the previous illustration, time is super powerful when it comes to building wealth. It also can have a negative impact in the form of inflation. Inflation is the lost purchasing power of a currency and the average US inflation is around 3%. In the short-term, this loss in value is pretty minimal. Something that cost you $200 in 2018 may cost you $206 in 2019, but compounded over time can deteriorate your purchasing power. Take Mario’s $162,014.34. That seems like a gigantic amount of money, but if we factor in the negative impact of inflation, it would only equal $77,387 worth of buying power in 2018. That is why it’s important to begin saving sooner rather than later because inflation is working against you whether you are saving for the future or not. Building wealth is a long process with many different paths. It is important to have patience and trust in the process of your financial planning. A great plan can be blown up if you become too emotional or overly reactive to current events. If this is the first you’ve heard of the power of investments or the drastic impact inflation can have on your future, I encourage you to educate yourself further to become more comfortable with these basic concepts. You can do this by scavenging the internet with google searches or you can leverage the experience of a professional. Feel free to use the link below if you’d like me to bridge the gap in your knowledge and jump-start your path to wealth building.